Ardverikie is one of Scotland’s oldest and most famous deer forests. 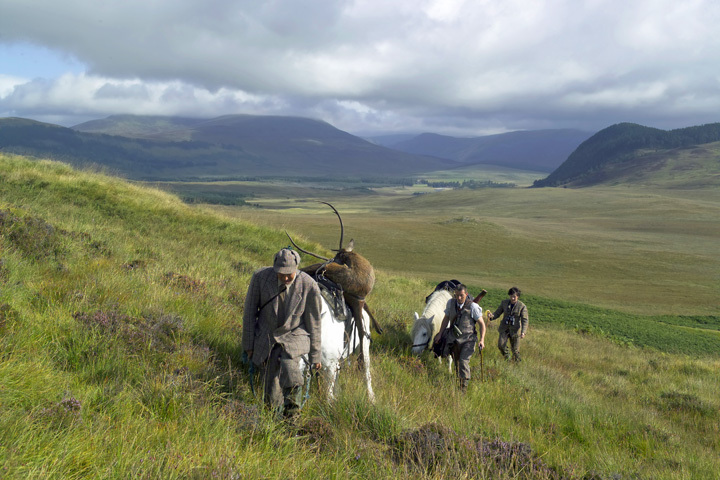 Extending over some 40,000 acres largely to the south of Loch Laggan, Ardverikie has four stalking beats amidst some of the most spectacular scenery in Scotland varying between rugged west coast mountains and the last vestiges of Caledonian Forest, the traditional haunt of the red deer. Brown trout fishing is available on Loch Laggan and a number of hill lochs. 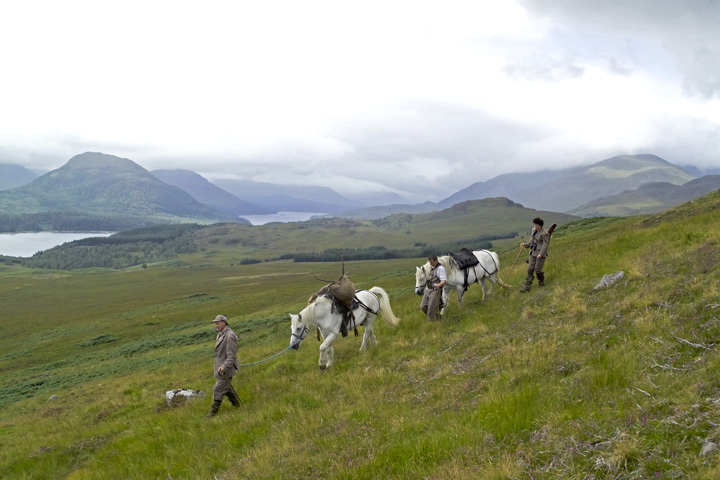 In addition Loch Laggan is renowned for its ferox trout and large pike, which offer a sporting alternative. In recent years the largest fish were an 11¼ pound ferox trout and a pike of over 18 ½ pounds. 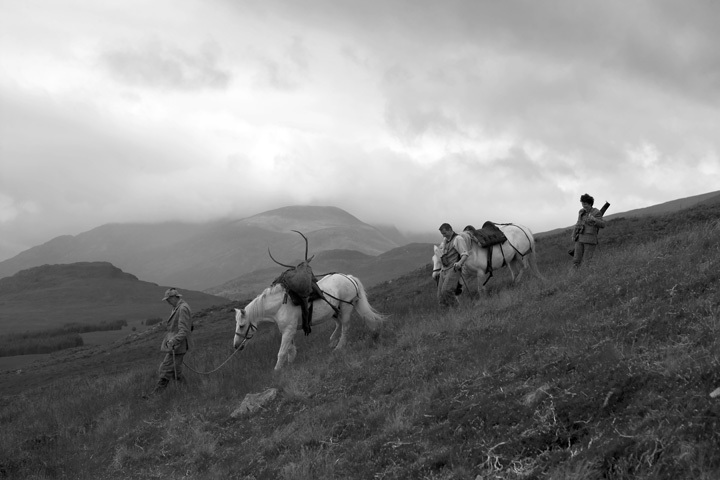 Stag stalking at Ardverikie has been largely retained by the family in recent years and we are very pleased to be able to offer an unrivalled opportunity to stalk in some of the most dramatic and challenging country. 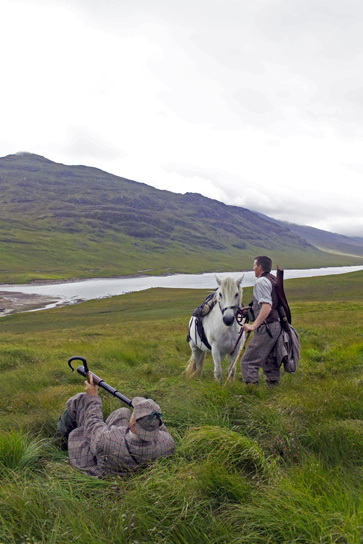 Stag stalking is available from early September until October 20th on 2/3 beats for a maximum of 2 rifles per day. Some beats are serviced exclusively with traditional Garrons. Situated in the heart of the estate, in an elevated position overlooking the strath, Gallovie Farmhouse, accommodating up to 13, is ideally suited for stalking parties. It comprises, on the ground floor: sitting room, dining room, play room with tv, kitchen, boot/utility room with w.c., wing with one double and one twin bedroom, shower room with w.c., On the first floor there is one double, three twin and one single bedrooms, two bathrooms each with bath, shower over bath, w.h.b. 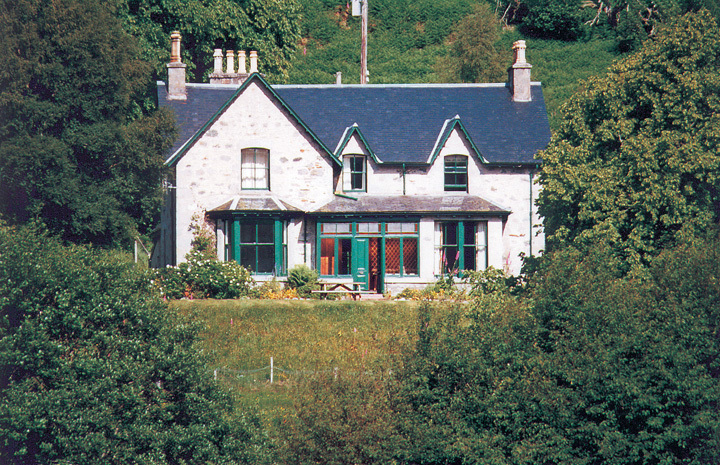 and w.c.
Inverpattack Lodge is available with accommodation for up to 12 on a self catering basis. The lodge is South East facing and is comfortable, with open fires in the drawing room and dining room. It comprises kitchen/breakfast room, dining room, drawing room, tv-room, double bedroom, bathroom on the ground floor. There is one double, and three twin bedrooms, and two bathrooms (one of which is en-suite) on the first floor. Annexed to the house are two single bedrooms and shower/wc on the upper floor, with utility/drying room on the ground floor. Both houses are close to the sandy beach at Loch Laggan and other estate facilities, and are within easy driving distance of the Cairngorm mountains, Ben Nevis Ski range and Creag Meagaidh National Nature Reserve.